You are receiving this email because you have opted in at our website or are a valued client or associate. In much of the country, it seems as if winter has already passed and a new fifth season called pre-spring has emerged. At the same time over the past month stocks have roared higher which obviously helps investment accounts. This month I briefly write to retirees and all us future retirees about the key factor that is very often not discussed or considered until it is too late. That is the spending rate you need to establish and maintain throughout your retirement. Just as budgeting and savings discipline are bedrocks to reach your retirement objectives, having a personal spending plan during your retirement is critical to prevent you from potentially outliving your dollars. Every day, articles appear urging Americans to save for retirement, mainly by illustrating how many save too little – or not at all. These articles often turn to thorough and wide-ranging studies. For example, the latest Federal Reserve Survey of Consumer Finances reported that in 2013 only about 45% of U.S. heads of household ages 25 to 64 had balances in retirement accounts. These articles are so prevalent that it seems like retirement planning is only about saving. Though clearly saving early and often is the key first step in building a retirement nest egg, it is not the only element you need to achieve financial independence in retirement. Investment performance and risk management are also essential ingredients. There is, however, another important aspect commonly overlooked: the eventual spending plan or budget for all the money you accumulated. Spending plans or budgets for retired individuals, like the spending policies for endowments and pension plans, are the guidelines for how much will be drawn quarterly from the retirement account. A newly retired couple can travel too much, eat out too frequently and live it up to such a degree that their savings can be drawn down abruptly. This is particularly a danger when investments perform poorly due to common market volatility, or worse if a retirement account suffers a large drawdown like many experienced in the economic busts of 2000-2001 or 2008-2009. A sound spending plan may help retirees guard against the adverse impacts of such crises. Another dangerous scenario occurs when a retiree household becomes overconfident in its decently performing portfolio and its middling level of savings. A decade or so into retirement without a spending plan, that household can find its investment and bank accounts dwindling mysteriously fast. Sunday brunches give way to $3.99 bacon-and-egg specials; the golf clubs stay in the garage all year. A plan for drawing down retirement savings in moderation when retirement starts increases the probability of sustaining a quality of life longer throughout retirement. There is no standardized retirement drawdown strategy. Each retired household (and its retirement planner) must arrive at one strategy specific to its savings, investment mix, income requirements, and age. Though many planners commonly reference the 4% annual withdrawal rate 3%, 3.5%, 5% or some other amount may work best for you. You can apply some basic principles in configuring a spending plan. It makes sense, for example, to first tap your taxable brokerage accounts in a drawdown strategy. This allows assets in tax-advantaged retirement accounts (such as IRAs) more time to grow and compound. By doing this in retirement, you can also effectively realize a tax break. Money coming out of a traditional IRA is taxed as regular income, whereas long-term capital gains incur taxes as high as 20%.1,2 Withdrawals from Roth IRAs are never taxed, provided you follow IRS rules. That brings up another factor in planning retirement spending: What can you do regarding your asset allocation and tax efficiency before retirement?2 A retiree with a larger traditional IRA may want to consider a Roth conversion of some or all of those IRA assets before age 70. Between ages 50 to 70, an IRA owner may be at or near peak earnings, so handling the tax bite that comes with such a conversion may be easier than during retirement. Another tactic is to take earlier, voluntary withdrawals from accounts that demand required minimum distributions (RMDs) beginning at age 70½. Voluntary withdrawals before the start of RMDs can leave an IRA owner with lower RMDs (and so less taxable income) in the future. Retirement spending often goes unmentioned until too late. A spending strategy may play a crucial role in preserving your household’s quality of life during retirement. Start talking about one early. Walid Petiri is the owner of Financial Management Strategies, LLC (FMS) a Registered Investment Advisor established in 2000. He has over two decades of financial experience that covers virtually all areas of finance from tax, insurance, stockbroker, personal financial planning and personal banking to corporate credit, business planning, and consumer lending. Mr. Petiri has frequently been heard on WEAA (88.9 FM) as a financial commentator, appeared on WMAR-TV 2 regarding the 2008 & 2009 economic downturn, and MTA Commuter Connections regarding residential land development. He has been interviewed and quoted by the Investment News magazine, written for the Journal of Personal Finance, is a frequent contributor to the IARFC publication, The Register, Popular Finance (of China), Minority Enterprise Advocate Magazine, and publishes a monthly financial advice column called the Foresight. Mr. Petiri was also quoted in Bankrate.com and currently writes for the Baltimore Examiner. Most recently, Walid’s articles can also be found on The Wall Street Journal, Aging News Alert, Morningstar.com, USAToday.com, TheStreet.com, Wall Street CheatSheet, and Examiner. 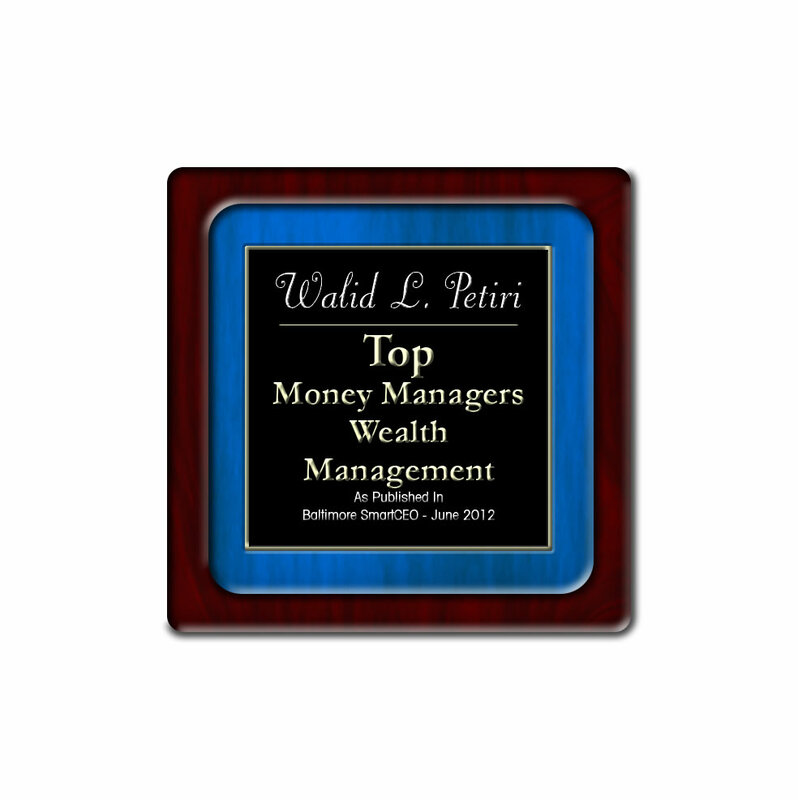 In June 2012, Walid was featured in SmartCEO Magazine - Baltimore for the 2012 Top Money Managers Wealth Management. Walid serves on the Finance Committee of Associated Black Charities and is a member of Bethel African Methodist Episcopal Church. 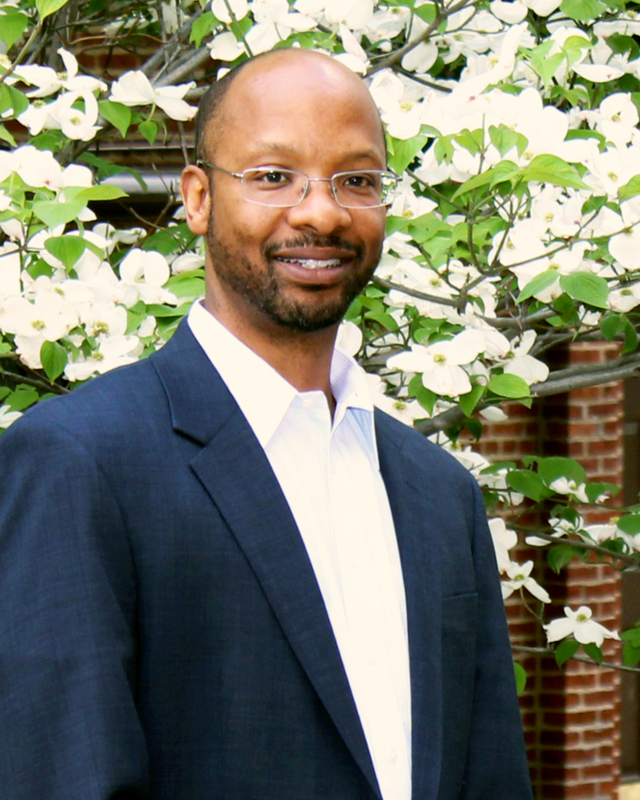 He also serves on the Board of Directors for the Reginald F. Lewis Museum and is a devoted parent to his son and daughter. Connect with me via LinkedIn! Copyright © 2017 Financial Management Strategies, LLC, All rights reserved. The content contained in this newsletter are for informational purposes only.